With my job and the blog, I get a lot of opportunity to attend my fair share of events. 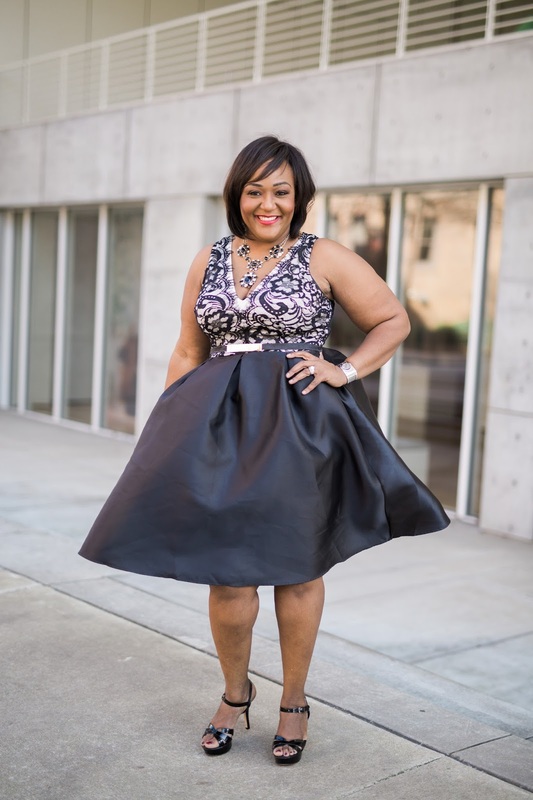 From Mayor’s Masked Balls and National Coalition of 100 Black Women formal events, to awards banquets, legislative dinners and semi-formal fundraisers, I always have a need for a party dress. So when TAGS Boutique here in Atlanta sent over this little number, I was happy to add it to party dress collection. Now, while I normally would go for something a little more “my age” (whatever that really means), I was pleasantly surprised at how cute this dress looked on and how well it fit considering the smaller cut. 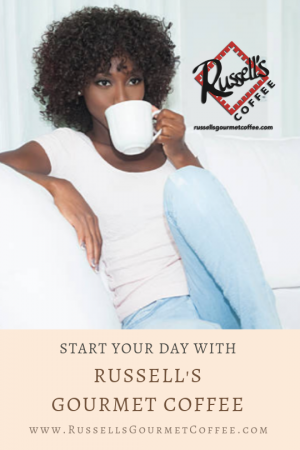 Let’s talk about the fit first. This dress runs a bit small and buckled slightly where my lower back meets my buttocks. But the style — a fitted waist with a circle skirt — made it essentially unnoticeable. Also, the attached belt kept rising up and I had a bit of trouble keeping it in place. The TAGS team did, however, gave me a heads up that their plus selection does in fact run small and instead of sending my normal 2x size, they sent a 3x. I’m really glad they did because I certainly wouldn’t have been able to wear anything smaller. I think their plus clothes may be more junior plus than misses plus. So size up just to be on the safe side. The lace bodice of this well constructed dress is very on trend and I loved the way it fit my bosom; no problems whatsoever in that area. I paired it with simple patent leather sandals with a heel, my Valentino Rockstud clutch and a beautiful onyx, gold and cubic zirconia necklace I bought a few years ago at Bloomingdales. The dress is easily a classic piece that won’t soon go out of style. It has a closet mainstay appeal. 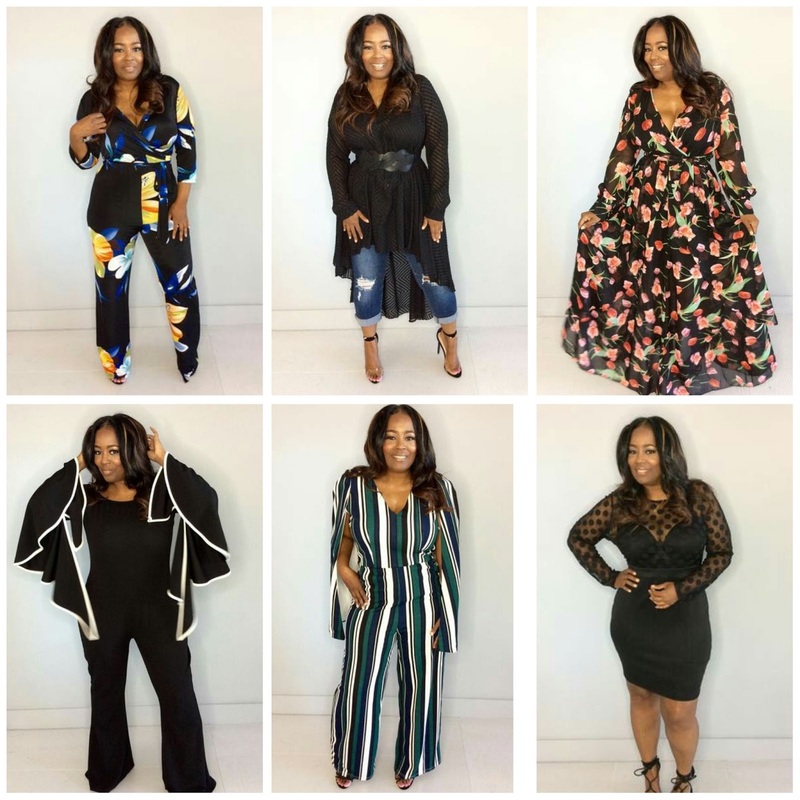 TAGS Boutique, owned by former Xscape member and Real Housewives of Atlanta star Kandi Burruss, has some really cute and affordable clothing for straight size and plus size women. I will say their straight size selection is much better than their plus collection. Although limited, they do have some nice curvy styles to choose from. Below are a few of my favorite pieces from their current offering. 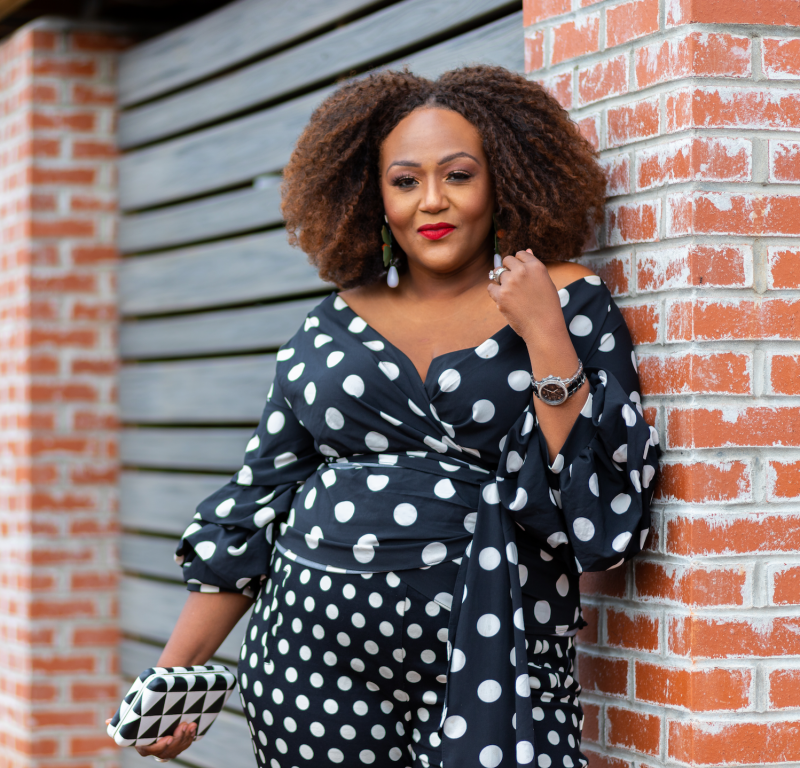 I am looking forward to working with TAGS as a brand ambassador and giving my feedback on some curvy/plus items they should carry that I am certain will fly off the racks. Check out the TAGS Boutique website here to purchase one of the six items that are my absolute faves from their plus collection. The floral jumper is my top pick! As always, thanks for stopping by, and if you happen to visit one of TAGS’ locations, tell ‘em NikkiFree sent you!